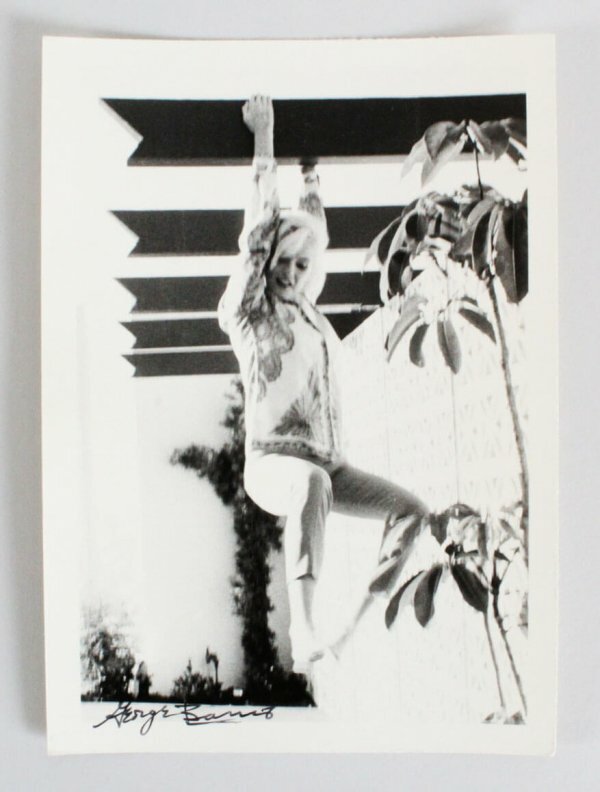 From the original negative and the private collection of the Kim Goodwin Estate, this original 5×7″ black and white photo is a nice fun playful shot of the iconic Monroe. George Barris signed this photo on the bottom left side in dark ink before he passed away. This is from Marilyn’s last photo shoot with George Barris in June 1962. (Marilyn died in August). They were obtained by Kim Goodwin, as he worked for Barris and was paid in negatives and photography for his work in lieu of a cash payment.